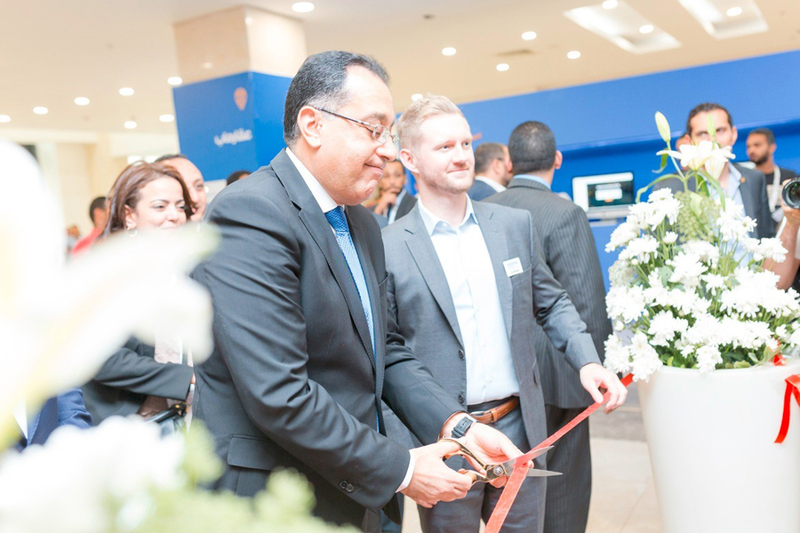 28th March, 2018, Cairo, Egypt: Egyptian Minister of Housing, Moustafa Madbouly, inaugurated the 7th edition of Cityscape Egypt today by exploring the latest real estate developments on the show floor from the country’s foremost developers. 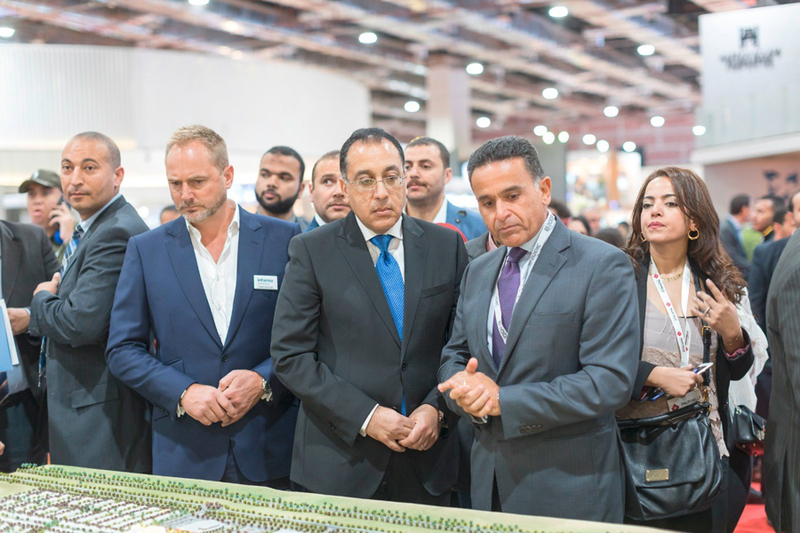 The Minister, who toured the exhibition and admired life-like real estate models depicting the country’s future developments, stopped to discuss the projects with several of the country’s top developers, commending their efforts to transform Egypt’s real estate sector. Speaking at the inauguration of the show, the Minister praised Cityscape Egypt, saying that the exhibition reflects the strength of the real estate sector and illustrates the trust that investors have in the sector. “The Egyptian real estate sector is one of the largest and most influential sectors and enables investors to draw on a wealth of opportunities with high returns from a ballooning population. This will contribute towards the strength of the market as well as attracting local and international investors.” “The participation of real estate developers showing projects from the New Administrative Capital makes Cityscape one of the most distinguished events,” he said. Speaking about the government’s future plans, he revealed that they would be auctioning more than 75,000 land plots next month, and added that the ministry is finalising the evaluation of phase two for PPP for 12 land plots. “The Ministry will also announce new projects in Sakan Misr and Dar Misr as well as launch phase one in New Administrative Capital, New Alamain and New Mansoura,” he concluded. Cityscape Egypt, which runs until March 31st at its new venue the Egypt International Exhibition Centre, saw the launch of several investment opportunities when it opened its doors, for buyers across all price points from over 70 exhibitors who plugged Egypt’s real estate prowess with offerings in the residential, hospitality and commercial sector. For investors and homebuyers looking at the Egypt real estate sector this year, 2018 signals a return to a more stable market. According to Oxford Business Group, the country’s improved performance in key sectors, tighter fiscal management and increased capital inflows drove a much-needed economic rebound last year. Visitors at the show will get a glimpse at some of the country’s most prominent projects. Tatweer Misr is launching three new project at the exhibition: Fouka Bay, in Ras El Hekma North Coast; Bloomfields, New Cairo; and IL Monte Galala in Sokhna. Spread over 1 million sqm, Fouka Bay boasts around 1000 residential units 1000-hotel rooms spread over 12 clusters of ‘eye-shaped’ islands. The project will be completed by 2020. Exhibitor SUD is showcasing High City, Capital Heights 1, and Capital Heights 2. High City, which will be ready in 2020, is 5-minutes away from Golf City and situated on top of an elevated hill on Obour City overlooking Ahmed Orabi Square as well as the entrance to the Fifth District. The residential complex will feature green space, a shopping mall and health clubs. A 0% down payment and a 5-year instalment is being offered at the show. Located in Mostakbal City, Beta Greens New Cairo is a new green community that stretches across 85 acres. Developed by exhibitor, Beta Egypt for Urban Development, the retreat features 3000 homes in a mixed-use community and the first phase is expected to be completed in 2021. The show’s platinum sponsor, PROJECTS, are showing its Blues Tiffany development, in Ras El-Hekma on Egypt’s North Coast. The project is spread over 250 acres and the developer will offer a 10% discount and will also reveal flexible payment structures at the show. Madaar Development are showcasing Azha at this year’s Cityscape Egypt. The project is a high-end waterfront residential resort in Ain Sokhna and features villas along with restaurants, health spas and community centres. The exhibitor will be offering a 15% down payment and an 8-year payment plan on all its units.